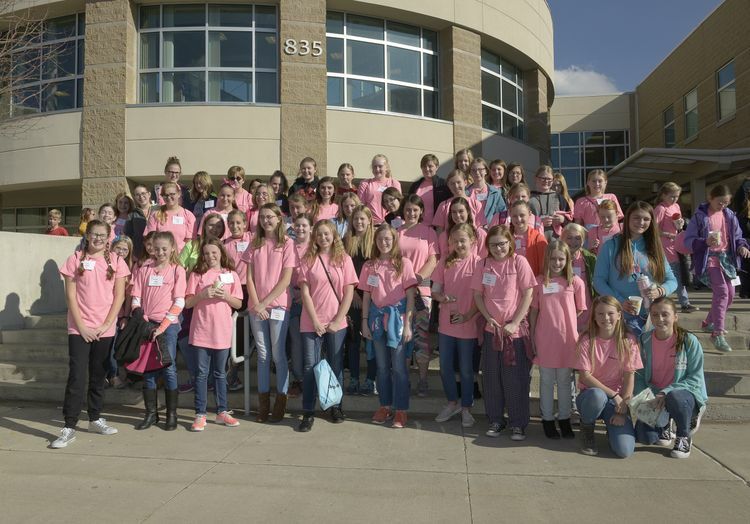 For 17 years, Orbital ATK has sponsored the Expanding Your Horizons (EYH) in Science, Technology, Engineering and Math (STEM) conference for girls in grades 6-9 in Northern Utah. Approximately 400 students from more than 75 schools across Northern Utah attended this year’s conference on November 11 at North Davis Jr. High School in Clearfield. EYH aims to give young women the opportunity to explore new fields of study and excite them about science, math and technical careers, fields in which men have traditionally been in the majority. During the conference, the students were able to attend three workshops selected from more than 25 options. 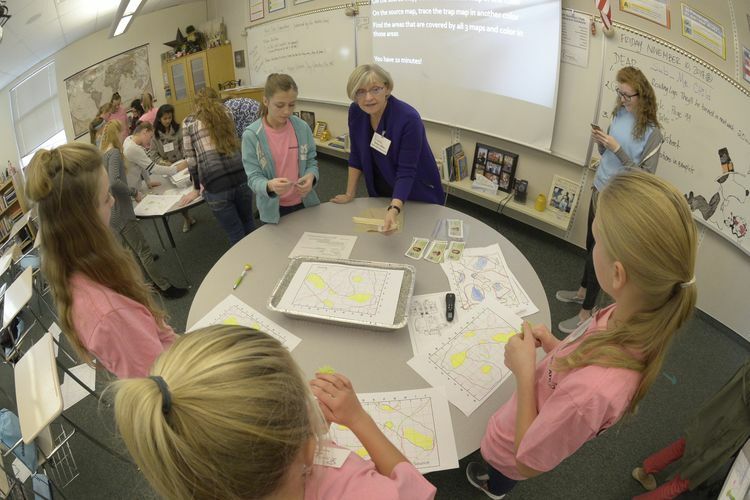 Women in math, science and technical professions taught these hands-on workshops, giving the students a sense of what a career in these fields would be like and providing them with role models. The workshops spanned a variety of fun, hands-on activities, including learning what it takes to be a doctor, a rocket scientist, a chemist, an engineer, and a computer programmer, among others. Erica Sandoval, Senior Principal Manufacturing Engineer at Orbital ATK, kicked off the event with a keynote speech. “Explore your interests and skills until you find the right fit,” said Sandoval. “I changed my mind lots of times about what I wanted to do until I found the right thing for me.” Sandoval started out at college thinking that her career had to involve sewing. Little did she know how much sewing and engineering would have in common, since both professions focus on figuring out how different parts best fit together. Two sixth grade students from West Clinton Elementary attending EYH for the first time this year said the workshops were a great experience. “There were lots of nice people here, and the experience of learning new things was awesome!” said Brooklyn Harward and Jessica Simons. “Our favorite workshop so far was Slughorn’s Slime.” Slughorn’s Slime was a new workshop this year, presented by Orbital ATK engineer Courtney Widhalm. 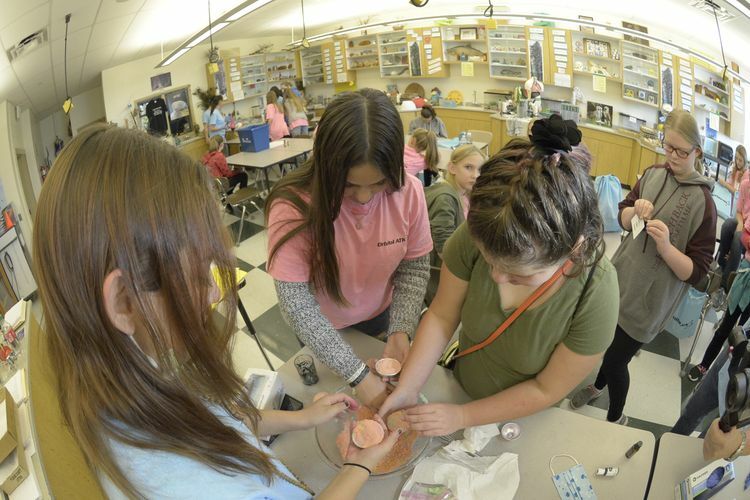 The popular workshop allows students to create their own glowing slime with a mix of glue, liquid startch and glow-in-the-dark dye. This activity teaches students chemistry basics by exhibiting properties of cross-linking polymers and non-Newtonian fluids. More than 6,500 young women have attended the Orbital ATK-sponsored conference over the past 17 years. Many of those students have chosen to pursue college degrees in STEM fields, and some have even come back to EYH to be workshop presenters. "STEM fields are important and can be so much fun,” said Meghan Capra, this year’s chairperson. “I love going to work every day, and that’s a wonderful feeling.” Capra is a Process Engineering Manager at Orbital ATK in Promontory, Utah. 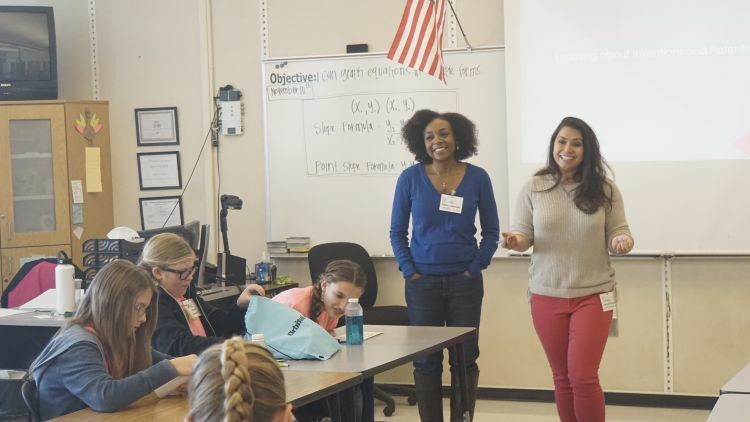 The Expanding Your Horizons Network is a national organization whose charge is to spark the interest of young women to pursue careers in math and science fields. The goals of the Expanding Your Horizons program are to promote how math and science can be fun, provide opportunities for young women to meet and learn about careers from women working in math- and science-related fields, and encourage young women to take full advantage of opportunities to gain the maximum amount of education in math and science before graduating from high school.